Windsurfing is a great way to spend your free time – that’s why it’s popular between the people in different ages. Swimming on the board, powered by wind can provide unforgettable emotions. At the same time a positive effect on well-being and the whole psychophysical condition. Sun, water and wind are the perfect recipe for relaxation, detachment from daily problems and relax. the opportunity to commune with nature – currently people seek for any contact with nature and escape from the progress of civilization and a sedentary lifestyle. Windsurfing guarantees contact with the two powerful elements: water and wind, and teaches how to control them. It gives a freedom and independence. the condition of your body – windsurfing is positive for your health. It strengthens the spine, arms and legs. It improves cardiovascular and immune systems, heart function, physical condition and metabolism. In addition, it provides for the development of motor coordination and maintain a stable balance. relaxed mind – a tired body means a relaxed mind. Windsurfing as a form of physical activity helps relieve negative emotions and get rid of stress. “Windsurfing is the heaviest of the sports, but when it starts, it’s nothing a man doesn’t want to train.” – Comments one of the surfers. amazing experience – windsurfing is recommended to anyone looking for extreme experiences and how to overcome weaknesses. Everyone addicted to the adrenaline should try it. Family sport – windsurfing is a great way to spend time together during a family surfing. 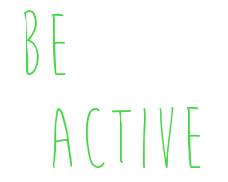 Together, you can fantastically having fun and keep fit. And if your child will get interested, in the future maybe will become even an Olympian. 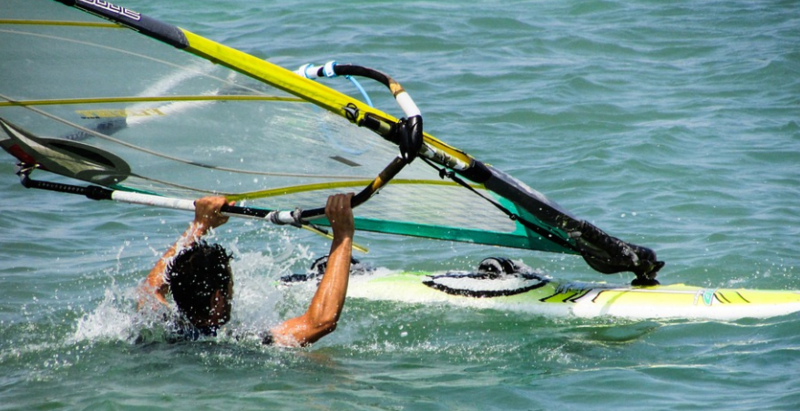 Despite to all the dynamics and speed, Windsurfing is a very safe sport. People retaining the basic safety rules or bearing vest displacement don’t risk anything more than light injuries, bruises or abrasions. A water sport, which brings a lot of joy is undoubtedly surfing. It is a great fun. Unfortunately, surfing is not posiible everywhere. Before we will present a specific list of such places, it is worthwhile to review the conditions that must be met for surfing to be successful and bring as much joy as possible. It is good to know that surfing has been invented by the inhabitants of the Pacific islands. The people of the area have for centuries been able to harness all the opportunities afforded by the proximity of the ocean, both for fun and entertainment, and for life and work. Despite the fact that over the centuries surfing has changed a bit, the equipment for this sport has been upgraded, the spirit of discipline has remained unchanged. The conditions for practicing this sport are primarily related to the weather. These are the weather conditions that favor the creation of waves at sea or ocean. Waves are necessary for surfing. That is why the wind is necessary. It is not just about the strong wind, but about the aura that can be predicted. It is therefore necessary to be repeatable and regular. The sea currents that bring the wind must remain constant. And it should be the strength of the wind. Then you can plan sports and surfing championships. Beyond the wind and waves, regular high temperatures are needed. And it’s not just because they are more willing to practice water sports. The hot air from the shore makes the cooling wind from the ocean or the sea stronger. In places where the temperature is low on land, the wind from the water body is usually weaker. What places in the world meet the above weather conditions? First of all, these are the islands of the Pacific Ocean. It is primarily about islands belonging to archipelagos such as Vanuatu, Kiribati, Samoa and Tonga. These are the archipelagos located in Oceania. In addition, however, include in this area is Hawaii, which administratively belong to the United States, geographically and atmospherically closer to them to the above-mentioned islands. Hawaii is home to many world-class surf competitions. In addition to the mentioned islands, mention should be made of the two largest Oceania countries, Australia and New Zealand. These countries also have a warm or moderately warm climate and many regions with strong winds. Surfing should therefore, in both Australia and New Zealand, be one of the most popular sports and not just water sports.